Jess & Dave wanted a low-key but fun event for their wedding. As a venue, they thought outside of the box and rented a Boy Scout camp (Camp Garrison). With lots of hard work – both manual labor and craft projects galore – the place was transformed into a shabby chic fairy tale which made for an extra special wedding event. 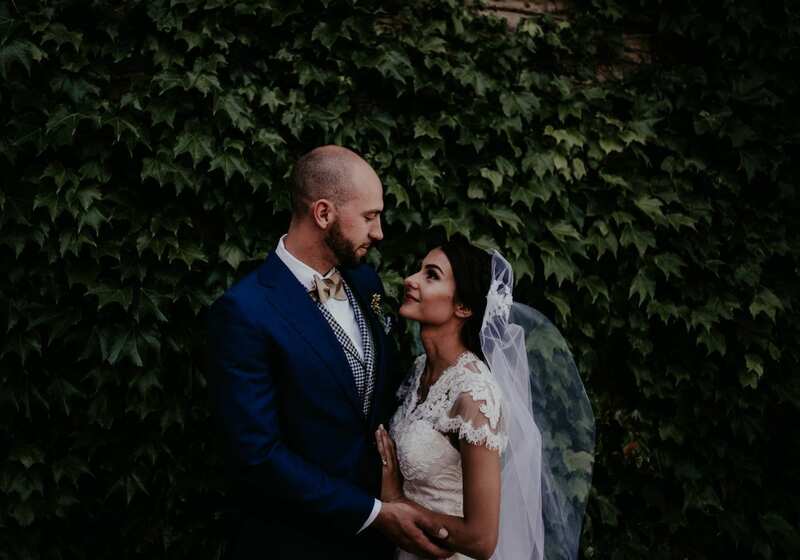 The castle setting was decked out in blues and golds, matching the wedding party perfectly as Jess glittered in a gold sequined dress and Dave shined in a tan suit with blue accents. Our event couldn’t have gone any smoother but our favorite moment was after the ceremony ended, we took a step back and raised a flag featuring our family crest as a symbol of our unity. As the flag flew in the air, we were then pronounced husband and wife in front of all our closest friends and family. Big congrats to the newlyweds & thanks so much to Stuart Sanft Photography for the beautiful pictures!